Huge choice of purpose-designed, fully equipped rooms. Unrivalled technical infrastructure and internet connectivity. Exceptional pre-event and in-event service and support. 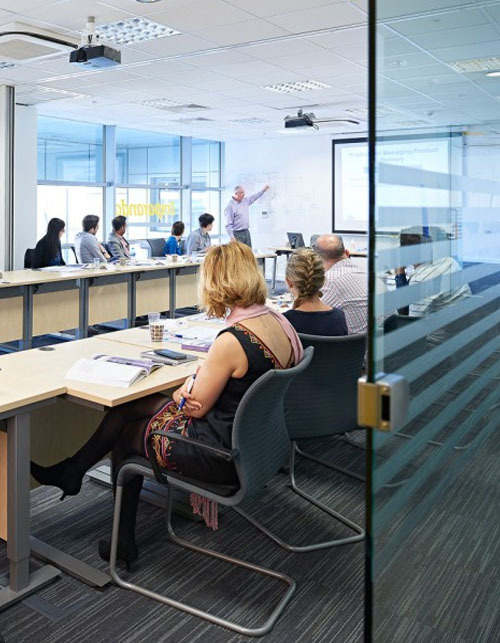 With high specification and flexibility throughout, the Imparando City of London Learning Centre allows you to make the most of your training and communication opportunities. 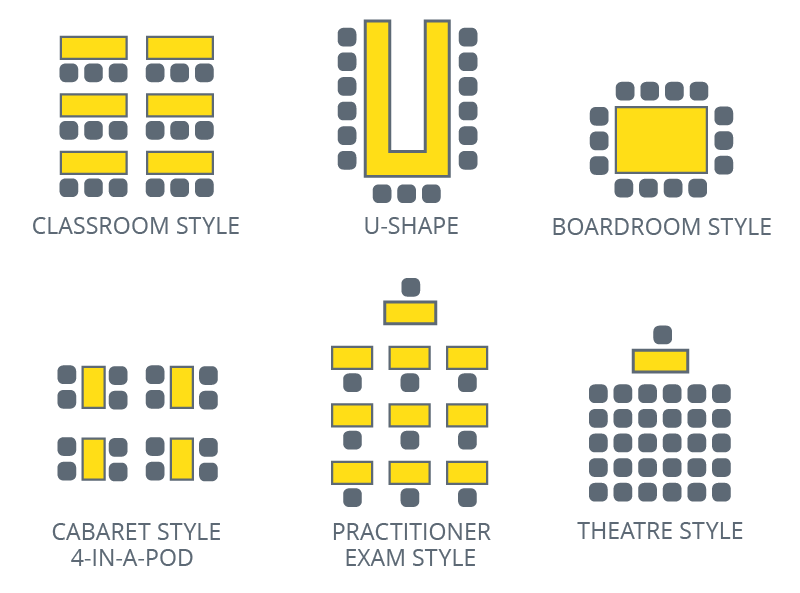 Choose from theatre, classroom, u-shape, boardroom, cabaret etc to create the ideal technical or non-technical training/ presentation room layout for your needs. There’s an abundance of natural daylight in all rooms, supplemented by lighting systems that provide the same level of lumens as a manufacturing plant. 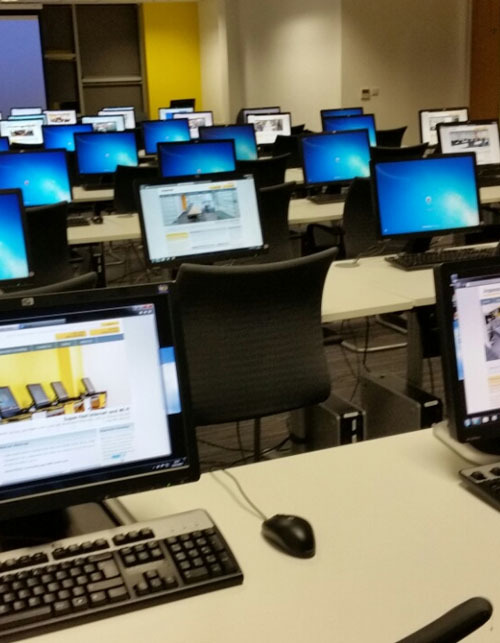 All rooms, and our entire facility, benefit from a hi-spec, secure infrastructure that includes top-performing, energy efficient PCs on which to learn. 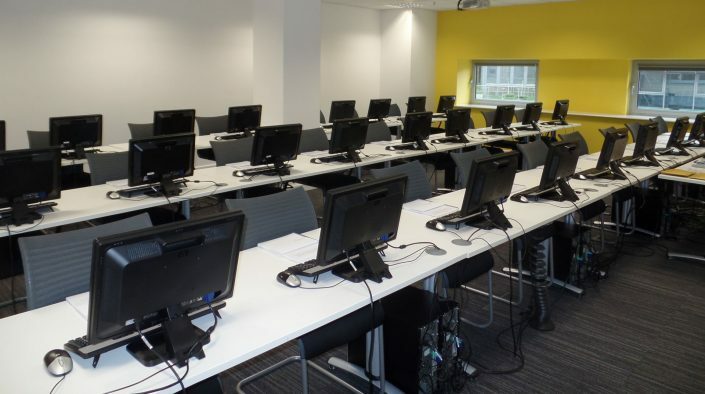 To aid alertness and learning, each room has its own climate-control air conditioning designed for 100% room occupancy (people, PCs and other equipment). Enjoy speedy internet access in all rooms via our up to 100mbps secured dedicated fibre line, as well as outstandingly fast wi-fi access in all rooms and all our public areas. All rooms have excellent acoustics and floor-to-ceiling soundproofing for complete sound isolation. 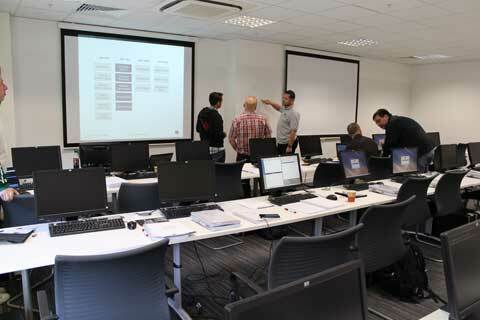 Rooms 1 and 2 also have wireless microphones and loudspeaker systems. 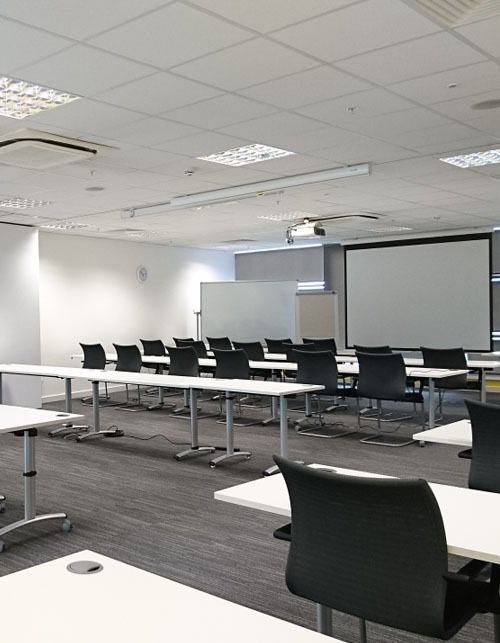 In addition to ceiling-mounted projector/s, projector screen and wall-mounted whiteboard in each room, flip charts, pads and pens are all provided. Full-time, on-site technical support is always on hand to help ensure that your training or other event runs as smoothly as possible. Rooms can be configured exactly as you wish. The most common configurations are shown below.